"Sometimes you have to kind of die inside in order to rise from your own ashes and believe in yourself and love yourself and become a new person ... ~Gerard Way"
My Chemical Romance is my favorite band ever. I've never heard a group with that kind of talent before, whose music can mean so much to so many people. I love all of the band members ... they've all been through so much, and through it all have become better people. Thank you, My Chemical Romance, for just being amazing. And thank you Gerard, for being my hero. 5. When someone talks about Helena, Montana, you start singing;"Loooong ago ..."
This is for those who cried to The Ghost Of You. For those who felt empowered during Famous Last Words. 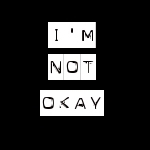 For those who felt they could relate to I'm Not Okay. For those who want to start a riot because of Teenagers. For those who are demolition lovers. For those who killed all their friends. This is for those who got welcomed To The Black Pararde. Who aren't afraid to walk this world alone. So let's crash the cemetery gates, with heads held high and MCR in out hearts, because we are the MCRmy. For anyone who loves Gerard no matter what color his hair was. For anyone who loves that pansy Frank and was worried when he got sick. For anyone who has ever fantasied about playing with Ray's hair. For anyone who got worried when Bob got burnt. For anyone who cried every single time Gerard got drunk or high. For anyone who bought MCR's new ablum the very second they could and protect it with their lives. For anyone who can't watch The Ghost Of You without crying. For anyone who isn't okay. For anyone who loves My Chemical Romance with all of their "black little hearts". For anyone who didn't just listen to their music, but their lyrics, too. For anyone who thinks they'll die alone. For anyone who wanted to jump up on stage just to give the band hugs. For anyone who wanted to meet them just to say "thank you". For anyone who wanted them for their advice, not their money. For anyone who wants to say 'I love you' without any remorse. For anyone who is sick of having their heart broken, or getting hurt. For anyone who can honestly say that MCR saved their lives. 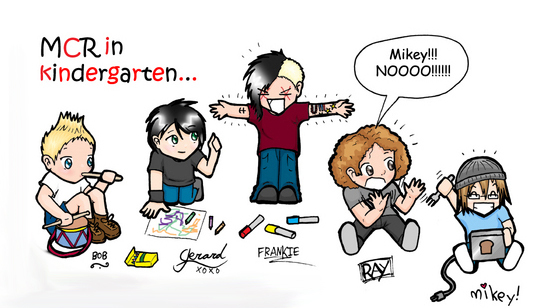 For anyone who gets exited when someone says "Gerard, Frankie, Bob, Mikey" or "Ray". For anyone who gets exited when someone says "My Chemical Romance", "My Chem" or "MCR". For anyone who says "I am a My Chemical Romance fan" with pride, and with honesty. For anyone who will repost this, and actually take the time. For anyone who has had a relative say, "Please, no more MCR today!" For anyone who gets excited when they see a random person wearing an MCR shirt. For anyone who will go across the country to see a My Chemical Romance concert. For enyone who listens to the message MCR has to share with the world. For anyone who's life changed the moment they heard one song. For everyone who would hold a funeral procession at school if MCR broke up. They told us they weren't okay. They told us vampires would never hurt us. They want us to say our famous last words and join The Black Parade. They said the mirror wasn't big enough for the both of them. They cried for the ghost of you. They introduced us to Helena. They don't love us like they did yesterday. Real MCR fans know more songs than Welcome to the Black Parade. Real MCR fans know Gerard Way's brother's name. Real MCR fans get exited and hyper when one of there songs come on the radio. Real MCR fans punch anyone who disses Gerard's hair, or anything about MCR, for that matter. Real MCR fans know the names of everyone in the band, and what they do. Real MCR fans shop for hours just to find a jacket that looks like the Black Parade uniforms. Real MCR fans will keep reading this. I am a demolition lover. 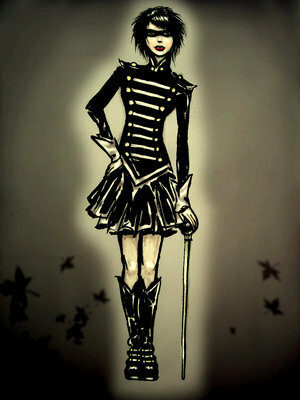 I was welcomed to the Black Parade. I am young, and I don't care. I am filled with unapolagetic apathy. I mourned Mikey's glasses and the death of Pansy. I live life on the murder scene. I did cry to The Ghost Of You. I did feel empowered by Famous Last Words. I worried about Bob and his burn. I helped Gerard stay sober. I have an obsession with Ray's hair. or to walk this world alone. I crashed the cemetery gates. I brought you my bullets when you brought me your love. 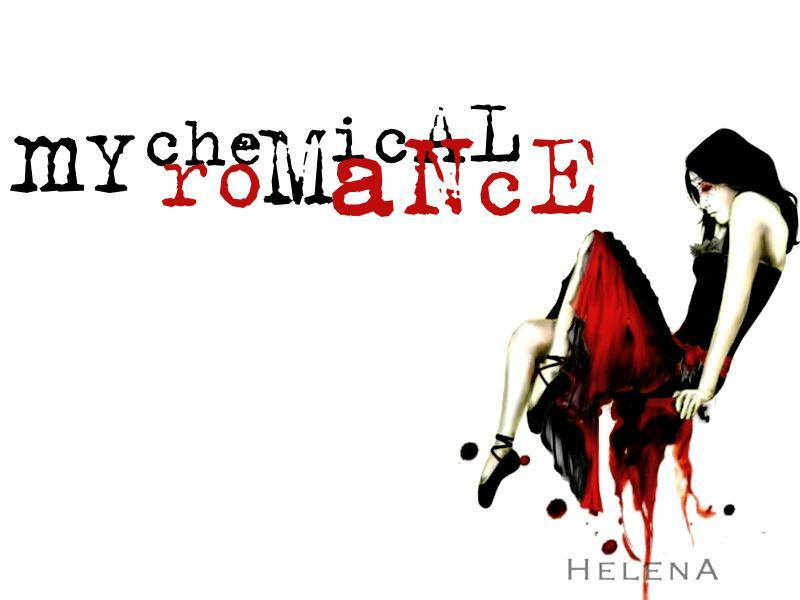 I gave three cheers for sweet revenge. I know what they do to guys like us in prison. I gave 'em hell and hung 'em high. I killed all my friends. I gave gallons of blood. I have seen the early sunsets over Monroeville. Vampires can never hurt me! So shut your eyes, kiss me goodnight, and sleep. These are our famous last words. So thank you for the venom; so long, and goodnight. I am the MCRmy, and they did save my life! What else to say about me? The Lord is my life. And my music completes me. I'm a Christian. Been a Christian since I was seven years old. Best thing that ever happened to me. And if you couldn't tell ... I'm only a little obsessed with MCR. And any music, really. I'm really open minded as far as music goes ... I won't diss a song because of its genre or who sings it, or whatever. Add me if you want, adds are always welcome :D Leave comments because I love hearing what people have to say. Login or register to add cowgirl4christ as your friend!